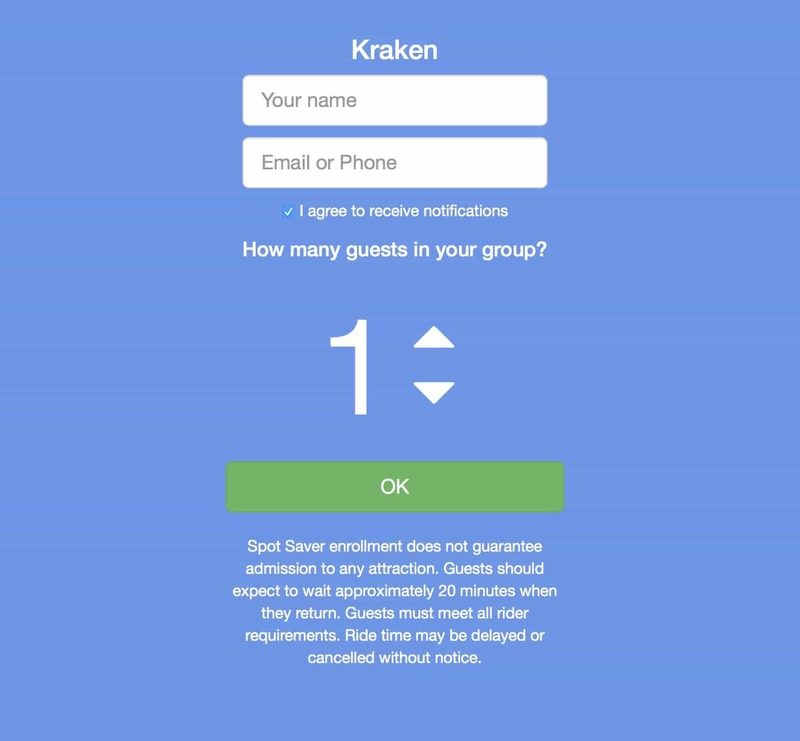 SeaWorld Orlando is getting in the virtual queue game with Spot Saver, a new free reservation system they are introducing with the debut of Kraken Unleashed on June 16. Virtual queues have been a hot topic this year, thanks to the new Virtual Line service used by Race Through New York Starring Jimmy Fallon and Volcano Bay at Universal Orlando. 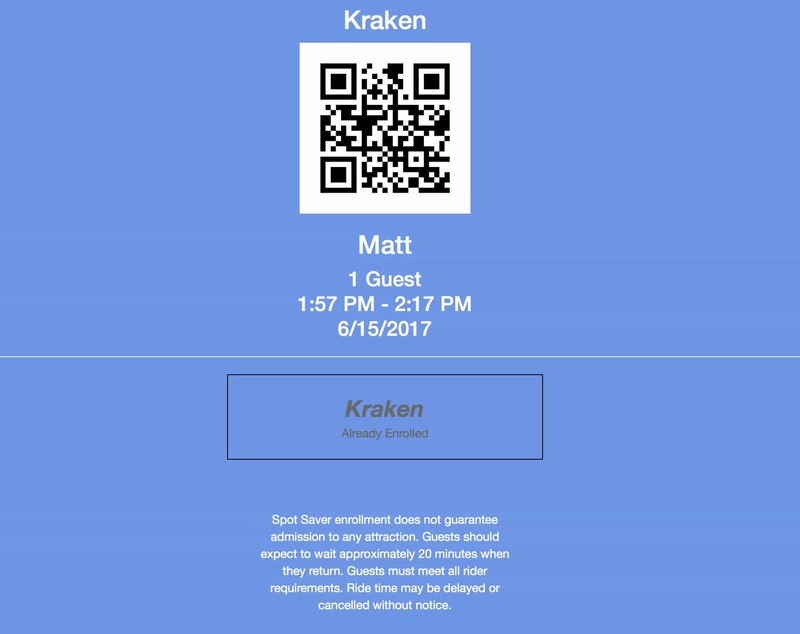 Now, SeaWorld Orlando will have their own similar service in the form of Spot Saver, which goes online alongside the Kraken Unleashed VR roller coaster attraction. 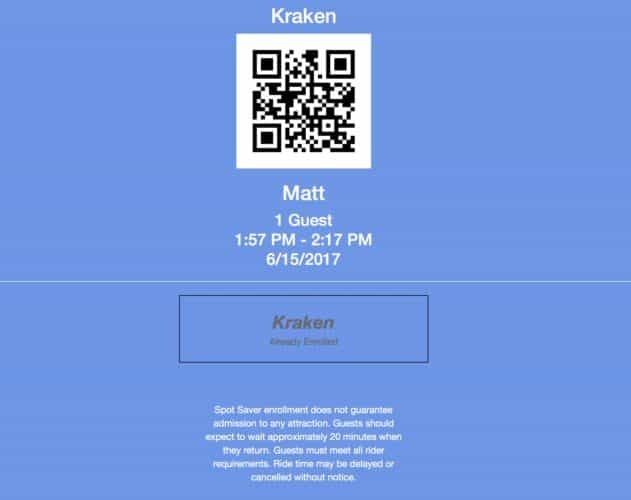 Starting June 16, SeaWorld Orlando guests may access SpotSaver.com on their mobile device to make a free reservation for their party to ride Kraken Unleashed later in the day. You must be inside the park and have location services enabled in order to access the website. Once a reservation has been made, guests can return to the attraction during the assigned time window and display the QR code on their smartphone screen to gain admittance. There will still be about a 20 minute wait before actually riding. 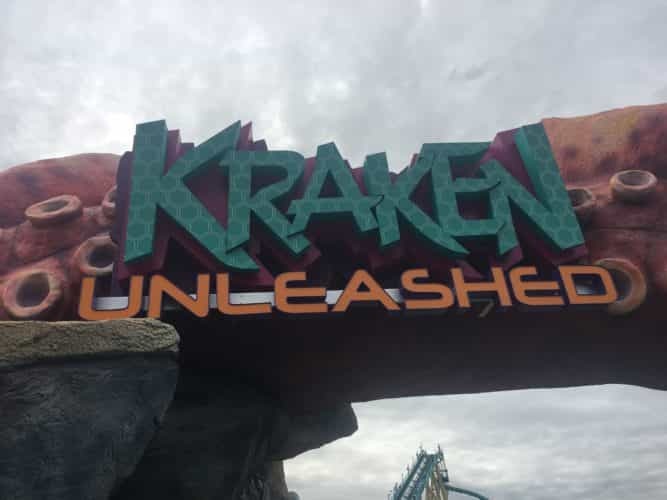 When the park opens for the day, Kraken Unleashed will operate with a standardy standby line. Once the wait builds to about 20 minutes, the standby queue will be cut off and Spot Saver will become available. If no more Spot Saver time slots are available for the day, you will be allowed to join a standby queue shortly before park closing. Spot Saver will not replace the paid Quick Queue front-of-the-line service, which will be accessed using the Kraken Unleashed exit; users will enter through the main queue. According to Brian Morrow, SeaWorld’s VP of Theme Park Experience Design, if Spot Saver is successful it may spread to other park attractions.